From raising the minimum wage to divesting from banks with ties to apartheid in South Africa, Berkeley has been ahead of the curve on certain issues. 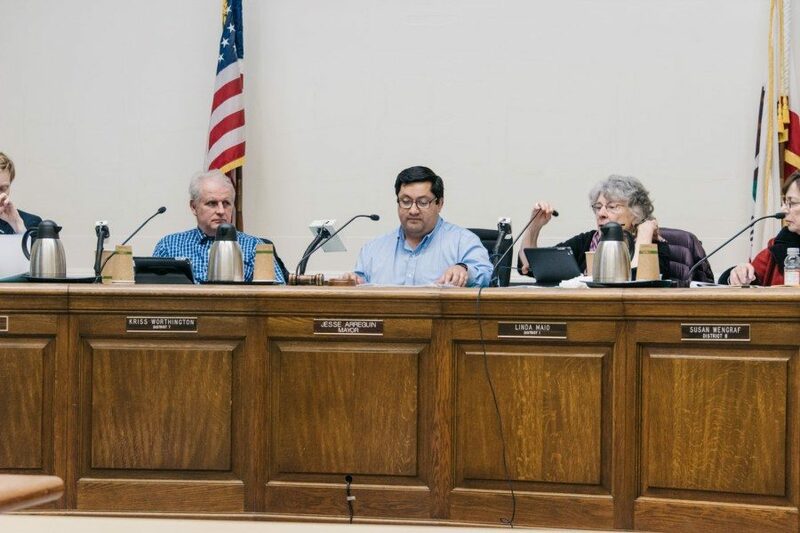 Fourteen months into a unanimously declared homeless shelter crisis by Berkeley City Council, Mayor Jesse Arreguin and District 5 Councilmember Sophie Hahn announced an ambitious plan Thursday morning to address Berkeley’s homeless population. City Council candidates Kate Harrison and Ben Gould discussed development and affordable housing at a sparsely populated District 4 election forum Thursday evening hosted by the League of Women Voters Berkeley, Albany, Emeryville. Less than 24 hours after Arreguin swore in as mayor, city officials disbanded a homeless encampment without his prior knowledge. Arreguin was surprised and upset. On Wednesday, the morning before Mayor-elect Jesse Arreguin is to be sworn into office, he kicked off a campaign event for Kate Harrison, who is one of the three candidates running for his former District 4 City Council seat.